It hasn't been Christmas for everyone, though, as a number of users reported yesterday that their orders got cancelled. However, a few users have reported that they have shipping confirmations for their orders. And for a brief time this morning, the set showed up once again at $599.99. Keep those eyes open, you never know when this, or any other set, may go on surprise sale in the days leading up to Christmas. Register and participate in the board to stay abreast of the latest deals. A big thank you to @exracer327 for posting the deal first. 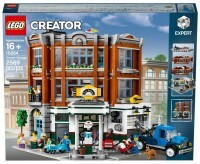 In typical fashion as we approach the end of the year, LEGO has officially unveiled the next in it's line of Creator Modular Buildings - The Corner Garage. The set will retail for $199.99 (US) and will be available beginning January 1, exclusively at LEGO Shop at Home. No doubt it will be available elsewhere starting 2nd Quarter 2019. The set will contain 2,569 pieces. The set fits resembles a 1950s era Service Garage and Gas Station, and fits in very well with the 1950's Downtown Diner (10260) released January 1, 2018. 10264 - Corner Garage 10260 - Downtown Diner 10255 - Assembly Square 10251 - Brick Bank 10246 - Detective's Office 10243 - Parisian Restaurant A savvy individual would note that some of those have been going in-and-out of stock (most notably Brick Bank, that was on sale over Black Friday weekend). Also telling is that both the Corner Garage and the Brick Bank are corner buildings. Keep an eye out for this set, coming January 1, 2019. Pictures below. Best Private School Best PreK-Nursery School Best Teacher Best Fundraiser Best Music Instruction Best Tutor Service (Junior National Honor Society) CLICK HERE TO GO TO THE 2018 BRICKPICKER LEGO RAFFLE FOR ST. PAUL SCHOOL! PICK ANY (ONE) RETIRED SET. IF WINNER BUYS A COMBINED $100 OR MORE OF ANY RAFFLE TICKETS, PICK TWO!!!! CLICK HERE TO GO TO THE 2018 BRICKPICKER LEGO RAFFLE FOR ST. PAUL SCHOOL! Like the last two years, we will ship the prizes to anywhere across the globe. If there is an issue with shipping or prizes, a comparable prize and/or shipping method will be arranged with the winner. The last two years, the LEGO BRICKPICKER RAFFLES worked very well. The Rallyup.com site is a first class, secure site that made this all possible. They also issued the school a big fat check(s). All raffle proceeds and donations benefit the school directly by bridging the gap between what tuition covers and actual educational costs. It also raises money to upgrade the school’s technology, keeping St. Paul School ahead of the academic curve with a dynamic curriculum. The prizes have been donated by Jeff and I, the St.Paul School PTA and by some very generous BrickPicker members. I am hoping, like last year, that more people will donate sets after the raffle begins. It was fun adding to the prizes last year. You never know what can pop up as a prize! There were two interesting user comments in-response to CapnRex101's August 27th article, "What's Missing? Rogue One: A Star Wars Story" on brickset.com. Essentially Hans Burkhard Schlömer said the initial wave Rogue One sets such as his designed, Krennic's Imperial Shuttle, will be retiring this year. Then his next comment suggested the 75105 - Millennium Falcon will be replaced by the 75190 - First Order Star Destroyer as LEGO's next "BIG" non-UCS set. Here is the list of Rogue One Wave 1 sets. So what are your thoughts about the AFOL appeal and investment appeal of the proposed retiring sets? While I am getting closer to releasing a long overdue update to BrickPicker, now is a good time to release some content that I was hoping to release with the updated site. @belljohn has been talking with Ed and I for a very long time and has spent a lot of time in creating a series of Brickvesting videos that he is happy to share on the BrickPicker YouTube Channel. I am hoping to see this expand this into a bunch of different topic series and welcome any of you that are interested in working on some videos to reach out to me and we can work on it. Set reviews, investing tips, set builds, etc. It's not easy to speak for ~15 minutes, but Brook does an amazing job covering this topic. We will be publishing more videos soon from belljohn. We hope you enjoy it. Who knows, maybe soon you will see Ed showcase his amazing words of wisdom in video. That will be a real treat. In recent weeks, LEGOLAND California has gone through another price structure change. This time, removing discounts from "Sale" and "Hard to Find" items that are carried in their shops. In year's past, annual passholders would expect to find LEGO sets priced at RRP. With a LEGOLAND California Annual Pass, a 10% discount was applied to all orders. During the years of "no discounts on exclusives," this made purchasing exclusives, such as modular buildings, a little more desirable at LEGOLAND. Late last year, LEGOLAND California started raising prices on certain items, to "balance" the Annual Pass discount. Items such as the Disney Castle, which has an RRP of $349.99, has been priced at $384.99 at LEGOLAND California. With the increase in price, the discount works out to less than a $5 savings with an Annual Pass. This price increase is not limited to just "Hard to Find" items, though. Even items like polybags, minifigures, and Brickheadz have seen a $1 increase over RRP. With this new policy, comes the pledge to reduce pricing back to RRP. "You should notice we've reduced prices on the Hard to Find items," said one employee this past weekend. (Although, the Disney Castle is still listed in store at the higher price). In my own analysis, LEGOLAND California was most likely losing sales on the Hard to Find items to the non-Annual Passholders. Without a discount, there's not much need to buy a $385 Castle when you can order it from Shop At Home while you're standing there, and have it waiting for you when you come home from vacation. Keep in mind that state tax rates at LEGOLAND California are 7.75%. Whether this policy remains in effect during the usual Christmas season passholder double discount sale (20% instead of the usual 10%) remains to be seen. No word yet on whether this will affect any other promotions that periodically go out to Passholders as well. For the time being, though, one of the extra special "perks" that were granted to Annual Passholders has been taken away. Investors that were using that perk as a means to leverage a little extra out of their Annual Pass will have to rethink that purchase when it comes to renew their passes. At this point in time, LEGOLAND Florida does not mirror this policy, although they do have a policy of restricting purchases as they see fit. The white Element 32039 Technic, Axle Connector with Axle Hole appears in 7 sets. It has an average cost of $3.47 each making the final cost more than $83 to replace all of them if you needed to. Again, if I were wanting to build this set out on my budget, I'd swap these for light bluish gray for $.04 each. The last item in my list of most common pieces is Element 2412b. This set requires 23 Light Bluish Gray Tile, Modified 1 x 2 Grille with Bottom Groove / Lip which average about $.03 each. That takes care of the most commonly occurring pieces in this set. As you can see, not all of them are in and of themselves common. I have been asked in the past about which substitutions one could make to build a set on a budget. My analysis is purely based upon the cost and not on the aesthetic. I'm afraid without firsthand knowledge of the build, I can't know which suggestions alter the look significantly enough to disturb you. I am also making these suggestions as something to keep an eye out for when paying top dollar for a used set. If these swaps have been made, you're not getting an original set and shouldn't pay the going rate. When looking at a UCS set, sometimes the most expensive part is the sticker sheet. Sticker sheets are pricey and may be subject to counterfeiting. I'd look for some resources on what to look for in regards to "custom" sticker sheets. The individual stickered parts of this set seem exceptionally rare. The sheet itself 10134stk01 has sold for $75 on Bricklink. The assembled plaque has sold several times for about $46 while the other stickered pieces haven't been available on Bricklink recently so I cannot give you any information about their prices. The Instructions, if you need them to consider your set complete, sell for about $75 for a new set. Although as of this writing, the cheapest instructions available on Bricklink is $122. A box seems to run about $88. I would offer good luck to anyone who is looking for a box that is cheap enough to bother paying for shipping. Not terribly expensive, this set comes with R5-D4 minifigure SW029 which appears in 7 sets. It's cost is about $4 for a used one. This is the only minifigure in the set. Now, let's take a look at the expensive, rare, and/or unique parts. In a lot of cases all three qualities overlap. Sometimes they do not. (I have found rare parts in a set that are not terribly expensive.) We'll take a look at all of the parts that cost more than $1 each and/or appear in 8 or less sets. Where I can find one, I might suggest less expensive parts so that someone could approximate this set for their own collection for a reasonable amount. It will also serve as something to look out for if you want an original set. I have already touched on a few of these pieces above and will not repeat them here. I have 27 parts which match this criteria. I'm a huge fan of long descriptive names for parts in sort of an ironic way. My preference is for brevity, but that makes me think names like this are funny. Dark Bluish Gray Slope 45 2 x 2 with Black and Yellow Danger Stripes Pattern appears 2 times in this set. Element 3039px16 is only a part of this set in this color. (It was also available in old Dark Gray like the image below.) It's a piece that runs about $11.50. If it were for my personal build,I'd be tempted to go for either the $.11 old Gray version or just put in a plain DBG slope and save myself more than $20. Copper is another color that you never see. In fact,it makes Dark Orange appear downright common. Element 75c08 in any color is not common. In Copper, the Hose, Rigid 3mm D. 8L / 6.4cm appears only in this set. This set requires 8 of them and at more than $4 each, you're looking to spend about $35. Other color choices that may work include red, orange, yellow, black or light bluish gray. They range from $.88-$.10 each. Again, I don't know what it does to the final look, but saving up to $34 on this build appeals to me. I talked about this next part in the UCS Death Star II set breakdown. Light Bluish Gray Lever Small Base with Light Bluish Gray Lever sounds redundant but refers to the 2 parts that make up element 4592c05. It appears in 7 sets including the UCS Millennium Falcon. You need 8 of them and they are about $4 each. (Thanks Falcon) The black base with LBG lever is a bit cheaper at $2.50, but you could make it pennies if you swap for a black lever in either LBG or black base. Be very careful if you are looking for all original that someone has not subbed in the old light gray pieces. Next, you need 7 Copper Hose, Rigid 3mm D. 6L / 4.8cm which is unique to this set. Element 75c06 averages just over $2. Black will knock down the price per part to about $.13 each. Element 30083 also averages about $2 each. The White Windscreen 6 x 6 x 3 Canopy Half Sphere with Hinge was also available in 7418 Scorpion Palace. The other color options honestly do not appeal to me as a substitution. You have either Tran black or 2 shades of tran blue. You may have to bite the bullet on white. Next we have element 41770 Tan Wedge, Plate 4 x 2 Left. This set only requires 1. It is available in 7 sets (Actually 6 since one of those is a reissue of the Dagobah set in a different box. It averages just north of $1.25. It honestly doesn't look like it matters a lot what color this piece is, if you feel like subbing in white for it you'd be spending a whole nickel at worst. You need 18 of element 2412b in dark orange, which is unique to this set. In this color the Tile, Modified 1 x 2 Grille with Bottom Groove / Lip costs about $1.25 each making your total for a full set about $22. It's used as color accents on the ship. I'd be tempted to sub in red, reddish brown, or dark red and save more than $20. The next element 41855 is the only part in this set to have an officially recognized substitution. The 2 Light Bluish Gray Brick, Modified 2 x 2 x 2/3 Two Studs, Lip End may be substituted for 47457 without going against what people may have found in the original box. 41855 is available in 6 sets and will cost about $1.10 each. the substitution is closer to $.03. The Dark Bluish Gray Minifig, Head (Plain) - Blocked Open Stud appears once in this set. Element 3626b is shown to be in 3 sets, although I would only consider one of those an actual set as the other was not a mass release set. It is found in Harry and the Marauder's Map. Which is a fairly inexpensive set. This part by itself is about $.68. Strangely, the Tan Wedge, Plate 4 x 2 Right is about half the cost of its twin from above. It averages $.67 for element 41769. This is because it appears in 8 sets instead of the 7 from the other piece. You only need one of these, but if you substituted the other one, I recommend making this one match. The Light Bluish Gray Tile, Round 2 x 2 with SW Radial Machinery Pattern is a part of 2 releases of the Millennium Falcon 4504 which just change box color. It is also a part of 8038 Battle of Endor. Be sure that you don't wind up with the old light gray 4150px19 from the Imperial AT-ST. You only need 1 and it's less than $.65. You also need 4 Dark Bluish Gray Slope 45 2 x 8 which will cost $.64 each. Element 4445 appears in 8 sets. The White Slope 33 3 x 3 Double Convex appears in 4 sets. For the 2 element 3675 that you need, you're going to average $.64 each. After that, we have element 4161 which appears 2 times. The Yellow Slope 33 3 x 3 is a part of 6 sets and is less than $.25. The Y-Wing has 8 Tan Hinge Brick 2 x 2 Top Plate Thin It's about $.18 each and element 6134 is a part of 6 sets. The Dark Bluish Gray Minifig, Weapon Lance shows up in this set 4 times. It averages $.12. Element 3849 appears in 7 sets. Next, we have element 989 which averages $.09. White Hinge Brick 1 x 2 Locking with 1 Finger Top appears in one other set. You need 2. The Tan Slope, Curved 6 x 1 Inverted is a part of 4 sets. For the 2 that you need for this set expect to pay about $.07 for element 42023. The last part that makes the cut is element 30647. The White Vehicle, Fairing 1 x 4 Side Flaring Intake with Two Pins appears in 6 sets and averages about $.07 each. You need 4. When I make all of my substitutions and remove the stickers and Minifigure, I come up with a total average value of $152. Sure, it wouldn't be original, but it would be good enough for me. I can understand wanting to have a wholly original set, especially one as pricey as this one, but for those, like me, on a budget, I think it would really bring a lot of joy to build one, even if some of the colors were wrong. The above lists in no way represent the full inventory for this set. Bricklink and Rebrickable both have an interactive inventory that would allow you to determine which parts fully make up your set. An image of the June 2017 LEGO Store calendar has appeared, and it looks like a new Carousel will be coming to the Fairgrounds theme. The rumor of a new Carousel started back in January, but gained a lot of traction over the last week. Set 10256, Fairground Carousel, appeared on Brickset earlier this week, which added fuel to the fire. Early this morning, part of the June 2017 calendar appeared online, and it seems that the Carousel will appearing in June. Initial concern from BrickPickers could be classified as the "Death Star Effect." Would we be getting a new set, or, as many feared, would we be getting a repackaged set. 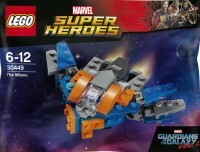 Set 75159 is a more expensive version of 10188, with some very minor additions to the set. The sets are similar enough that 75159 has created a price ceiling for 10188. A return from the dead, in the form of a rerelease of 10196 with very little changes, could drop prices on 10196 dramatically. A big concern for a set that has performed very well over the last 8 years. A bigger concern for the investing community, is what we can expect moving forward. LEGO is known for it's innovation, and repacking yet another existing set could cause a lot of disappointment, anger, and lose of confidence in secondary market prices for the investor. When 10196 was introduced, there was no Fairground theme. But that all changed in June 2014, when 10244 Fairground Mixer appeared. That was followed up with 10247 Ferris Wheel in June 2015. 2016 did not bring us any sets in the Fairground theme. But, 2016 did see the Amusement Park sub theme of the Friends line. With six sets in the theme, there was now a pretty big fairground theme that could be constructed. Set 10196, Grand Carousel, came out in 2009. With 3263 pieces, and a retail price of $249.99, it remains the largest non-Technic set with Power Functions. The set is red, white and blue, with tan plates making up the floor. Nine minifigures were included in the set. Brick built animals, that went in an "up and down" motion as the carousel moved, made up the main area of the build. A series of cloth "tents" made up the top of the build, which gave it an interesting and realistic look. Power Functions were included in the set, along with a 48x48 green base plate. A sound brick was included, to give a realistic organ sound to the carousel as it spun. For set that started out with an RRP of $249.99, that's not a bad return! Prices have fluctuated a little bit over the last year, but stayed at about a 10x RRP for quite some time. One can understand why a resurrection of the existing 10196 would be damaging to the value that investors and consumer put into this set. Sticker Sheet - $60+ Green Baseplate - $70+ Jester's Cap - $2+ Cloth Top Section - $40+ (each, Qty Sound Brick - $150+ Let's Go 'Round Again! I would expect LEGO to have an official announcement soon. Let's hope that it's everything we want, and more!